Your Algarve SUP Adventure starts here! To maximise your fun on your Algarve SUP Adventure and help you become really proficient at Paddle boarding, we run regular SUP Courses throughout the year at our SUP Academy, which is based at Fuseta in the Eastern Algarve. At the end of your SUP course you will be a safe, capable, confident Paddle boarder. You will have a good understanding of the sport and which aspects you get the most pleasure from. It may even change your life…it changed mine. With our patient, professional ASI certified Instructors helping you, you will quickly acquire the skills to be able to really enjoy this amazing water sport. Based around our proven SUP Classes and popular Paddleboard tours our Paddleboard courses offer a structured SUP program that guarantees success. 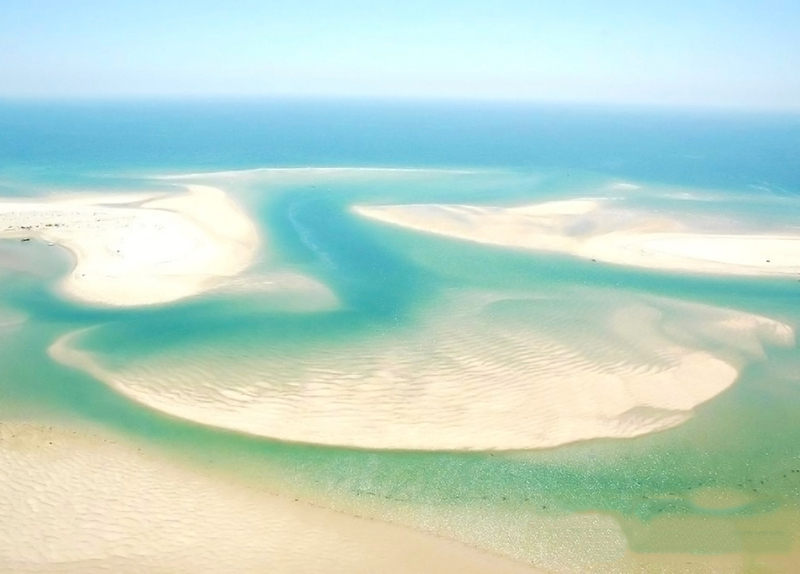 Part of the Fuszta Lagoon System in the Ria Formosa Natural Park - anyone fancy a SUP tour? Our location in the Ria Formosa Natural Park is unique and is, quite simply, SUP Nirvana. We will take you to some truly beautiful lagoons, water ways and islands during your time with us. If you love getting away from the crowds and exploring, our Paddle boarding courses, will delight you. With the added dimension of our support boat we have so many Paddleboarding possibilities, that you could come back many times and the experience would be different on each occasion. Having a picnic during a SUP Course in the Ria Formosa Natural Park. We have an excellent range of Stand Up Paddle boards at our Paddle board school and you will have many opportunities to try out and appreciate the different styles during your SUP course. We will always recommend the best SUP board for that day’s activities, taking into account your weight, size, fitness and skill level. It’s remarkable how much difference correct board selection can make. Our Paddleboard courses are designed to save you money. For example a 3 day SUP course from only 210 euros (around £150) if you book with friends (see price list for details). The longer your SUP course and the more people in your group the more discount you receive. The SUP lessons and SUP tours are normally scheduled for the mornings and finish in plenty of time for lunch in one of Fuseta’s fabulous restaurants. This leaves you free in the afternoons do your own thing or join in with one of our excursions. Like all sports and pastimes that rely on the elements, exploring the Algarve by SUP is affected by Mother Nature, especially, wind, waves and water currents. Your safety, wellbeing and enjoyment are our primary concerns. To ensure you get the best out of your experience we may change the itinerary depending upon the local conditions prevailing at the time. For example paddling into a headwind or current is frustrating, whereas going with the flow is great fun. Your SUP instructor and support team are passionate about Paddle boarding and giving you a good time. Whether it’s coaching you through your SUP lessons, taking you on a SUP tour or recommending a good restaurant, we are always on hand to help organise your Algarve Adventure.